Castle Drogo was the last castle to be built in England. The castle, entirely built of granite was designed by architect Sir Edward Lutyens and features battlements, a fortified entrance tower, and a portcullis to create a medieval appearance. The castle is essentially a stately home with a blend of styles from the medieval and Tudor periods. A twentieth century "castle" was built by Sir Edward Lutyens between 1910-30. The property was given to the National Trust in 1974. It is a Grade I listed building. The castle has suffered major structural problems ever since completion which have now resulted in serious leaks and water penetration throughout the building. The £11m five-year programme of repairs is supposed to return the Castle into its former glory. The project to preserve the castle will include the renovation of the massive flat-roof structure using cutting-edge materials to make it permanently watertight. Similar conservation work took place to the chapel roof six years ago and the chapel has not leaked since. It will be conservation on a grand scale, taking five years to complete. 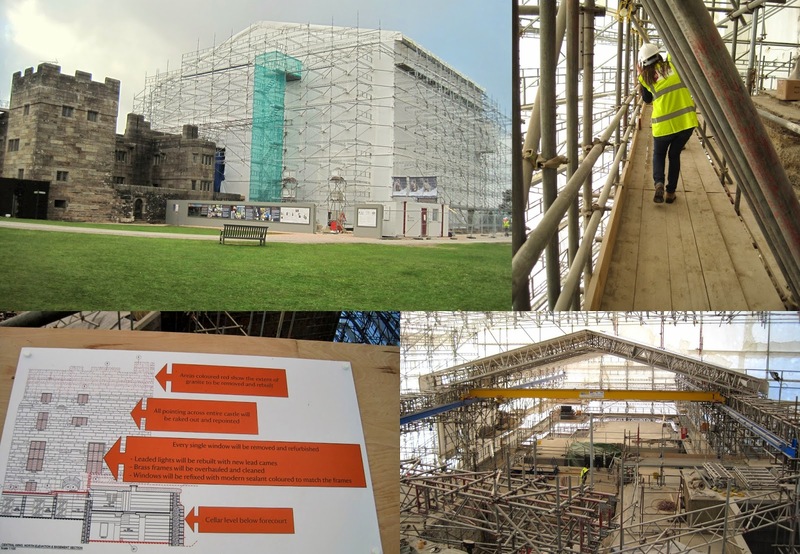 In order to install the new roof system, 2355 granite blocks weighing 680 tonnes will have to be removed and then returned. Some 900 windows containing over 13,000 panes of glass will be refurbished to stop them leaking and over 60,000 meters of pointing will need to be replaced. 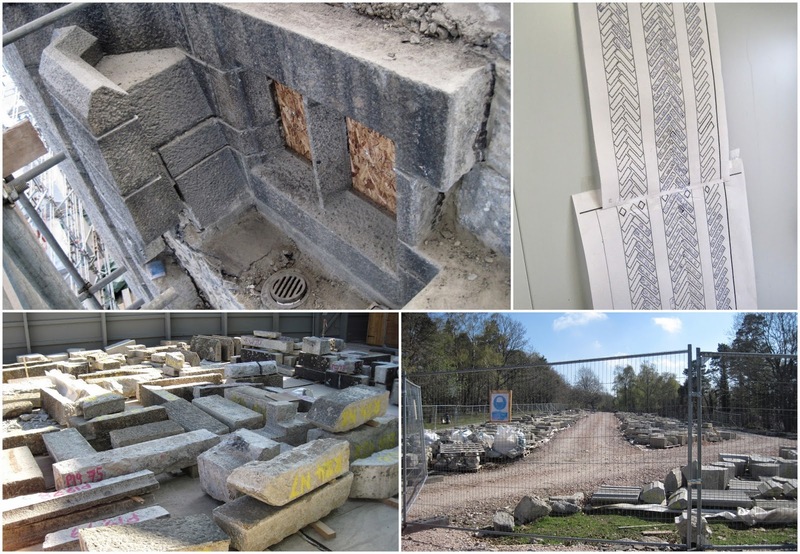 Each stone is individually dismantled (top left), its location documented (top right) and then stored so that it could be put into its original place after the weatherproofing has been completed. The trip down to the south did take a while, but the scene that opened in front of me was well worth the long drive. Actually, to be completely honest, the scene that opened in front of me when I was approaching the castle was not the castle itself, but a big white tent that was covering the structure. Just the scope of the scaffolding itself took me a while to grasp and assured me that it was no ordinary conservation project. And if the scope of the conservation work did not take your breath away then the surrounding landscapes definitely will!